Terry Leonard can be reached at (423) 323-9327. Terry told us that a stock like this (tinted or natural wood colors) would typically run $1250.00 to $1300.00. James Mock also spotted a handsome Walnut composite stock made by Roy Hunter. James writes: “The rifle on the right belongs to Sid Goodling (that’s Sid holding it), and it also features a BAT action. The rifle is a Light Varmint with a composite stock made from Balsa, English Walnut, and Carbon Fiber. The creator of this beautiful stock is Roy Hunter. Sid told me that a custom stock like this from Roy would cost about $1150.00. This is in line with other wooden composite stocks.” NOTE: The barrel on Sid’s gun is 21.5″. 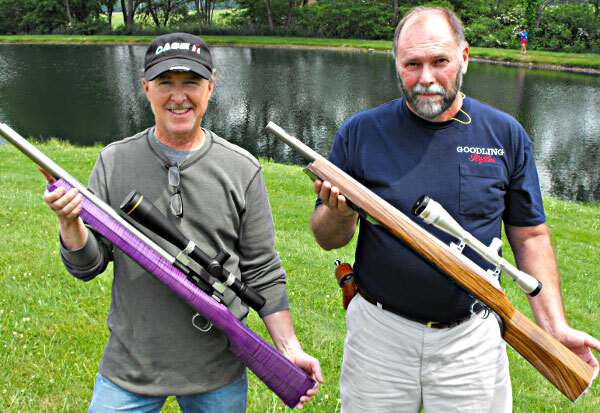 It may appear short because Roy Hunter builds his stocks “about 2″ longer than standard” according to Goodling. For more information on this rifle, contact Sid Goodling at www.GoodlingRifles.com. Although Terry Leonard is well-known to the BR community, Roy Hunter is a newcomer to the stock-making trade. But make no mistake — Roy is a highly-skilled craftsman who knows how to create both functional and beautiful stocks. This man knows his wood — Roy is an experienced furniture-maker who specializes in classic furniture of the 1700s and 1800s. Roy Hunter can be reached by phone at: (410) 259-7944. 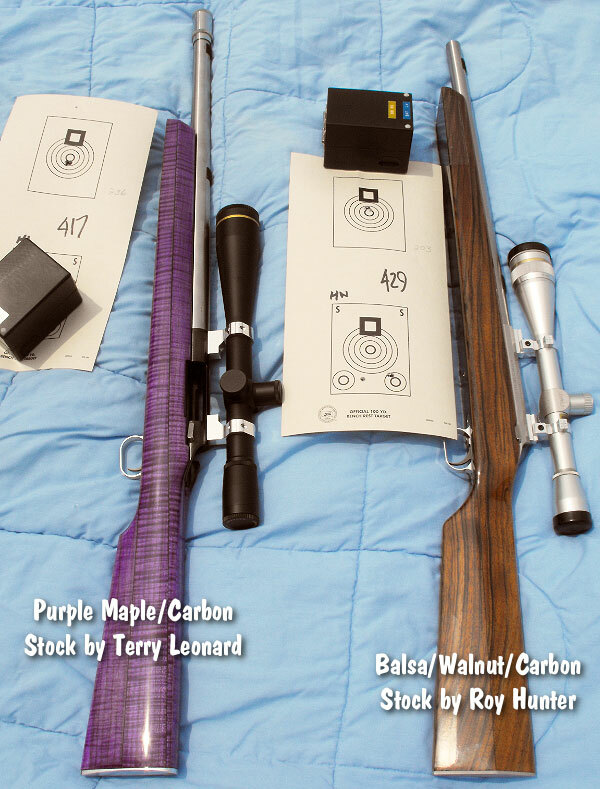 Share the post "High-Tech Benchrest Stocks from Roy Hunter and Terry Leonard"
Last fall we announced that Leatherwood/Hi-Lux Optics would be adding an 8X Unertl-type scope to its William Malcolm Series of externally-adjusting riflescopes. Well, the wait is finally over folks. The Hi-Lux Malcolm 8X USMC-Sniper Scope is now in stock and on sale at Creedmoor Sports for $549.00. This should prove quite popular with Vintage Sniper Rifle Match competitors. The new USMC repro scope duplicates the original windage and elevation controls on the 50s/60s-era USMC scope — but the new Hi-Lux offers modern multi-coated lenses. Scopes of this design, with micrometer click external adjustment, were once favored by long range shooters. The Marine Corps utilized this style of externally-adjusting scope on sniper rifles during WWII, Korea, and the early stages of the Vietnam conflict. Today, a mint-condition, original USMC-marked scope can sell for as much as $5,000. And with the current interest in vintage sniper rifles, just a working standard model Unertl scope in good condition can still bring $2,000 or more. With its $549.00 price at Creedmoor Sports, the Hi-Lux USMC-Sniper repro scope is far more affordable than a serviceable original. Like all Leatherwood/Hi-Lux Optics, the Wm. 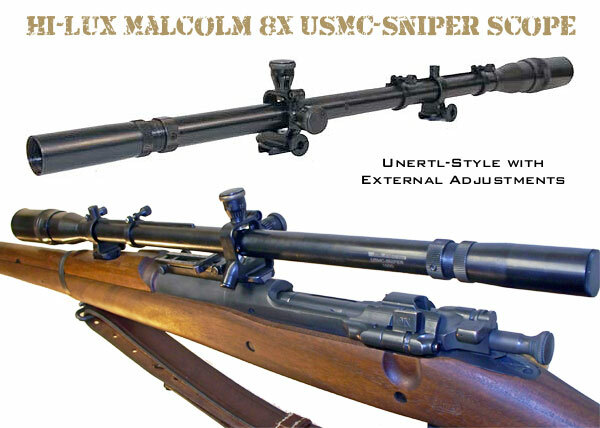 Malcolm USMC-Sniper model comes backed with a limited lifetime warranty. Each 8X USMC-Sniper repro scopes will be serial numbered — as were the original USMC models. Leatherwood/Hi-Lux also sells a variety of long-tube, external-adjusting scopes that are quite popular with BPCR shooters and vintage rifle fans. Share the post "Hi-Lux Externally-Adjusting 8X Scope for Vintage Military Rifles"
Based on data from the National Instant-Check System (NICS), gun sales continue to rise. Halfway through this election year, the number of guns sold continues to climb, and the trend is expected to continue throughout 2012. The May 2012 NSSF-adjusted National Instant Criminal Background Check System (NICS) figure of 840,412 represents an increase of 20.6% over the NSSF-adjusted NICS figure of 696,947 in May 2011*. For comparison, the unadjusted May 2012 NICS figure of 1,305,392 reflects a 7% increase from the unadjusted NICS figure of 1,219,872 in May 2011. This marks the 24th straight month that NSSF-adjusted NICS figures have increased compared to the same period the previous year. With President Obama’s campaign looking strong at this time, Americans are stocking up on guns and ammo in anticipation of new gun-control legislation that could be enacted during the next 4-year Presidential term. In addition, there is the possibility that the next President could nominate one or more Supreme Court Justices to replace aging members of the High Court. That creates uncertainty about future rulings on Second Amendment issues. 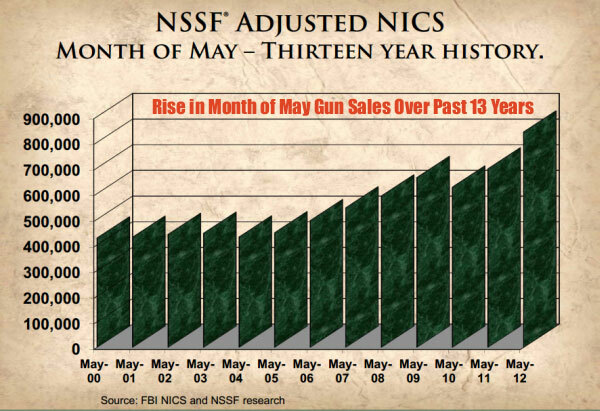 *Though not a direct correlation to firearms sales, the NSSF-adjusted NICS data provide a more accurate picture of current market conditions. In addition to other purposes, NICS is used to check transactions of firearms sales and transfers on new and used handguns and long guns. Share the post "Monthly Gun Sales 20.6% Higher than Same Month Last Year"